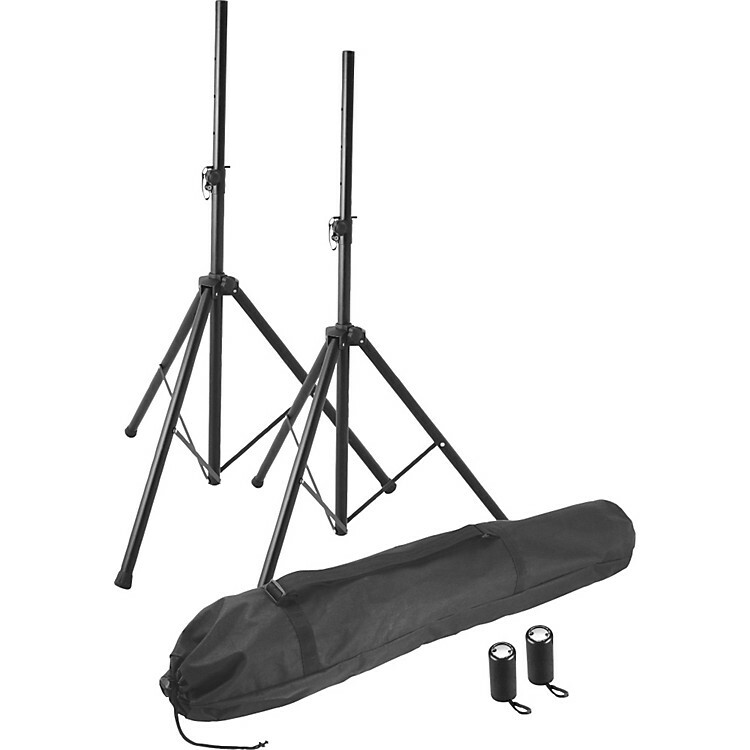 The SSP7855 Professional Steel Speaker Stand Pak includes two height-adjustable steel speaker stands and a convenient carrying bag to hold them. The all-steel speaker stands each have a 1-3/8 in. upper shaft and feature a two-section vertical shaft with eight preset height-adjustment holes with a locking pin for added security. The stands feature friction-locking, retractable leg housings for quick and easy set up and tear down. These stands will fit most speaker cabinets without wobbling around using either the 1-3/8 in. diameter upper shafts or the included metal adapter sleeves to fit speaker cabinets that have 1-1/2 in. internal brackets. Adjust the stand height between 46 in. to 74 in.